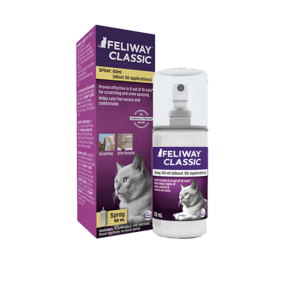 FELIWAY CLASSIC Spray offers calming on-the-go and additional support at home. Do not spray on the scratching post, it will deter your cat from using it! The perfect complement to manage scratching issues! Helps redirect scratching to the scratching post. If spraying or scratching occurs in multiple locations, use FELIWAY CLASSIC Diffuser to ensure constant comfort for your cat at home.